In November 2012, Can Factory carried out online gift card software integration for Cineworld and introduced online eGift card purchasing, and gift card redemption functionality in collaboration with Stored Value Solutions (SVS). The solution leveraged the Ceridian SVS SOAP (Simple Object Access Protocol) API to allow Cineworld’s customers to view their current gift card balance, and make full or partial payments using either physical (purchased in store / online) or eGift cards. Can Factory also augmented the existing suite of tools available to the Cineworld Customer Service, and eCommerce teams to allow them to more effectively manage customer queries for eGift cards, e.g. secure retrieval of lost Gift card numbers. Importantly Can Factory ensured that Cineworld were able to launch the new functionality in time for the Christmas peak sales period for gift cards. This ensured that sales of the newly introduced eGift product were maximised for customers who needed to make last minute purchases in time for Christmas. 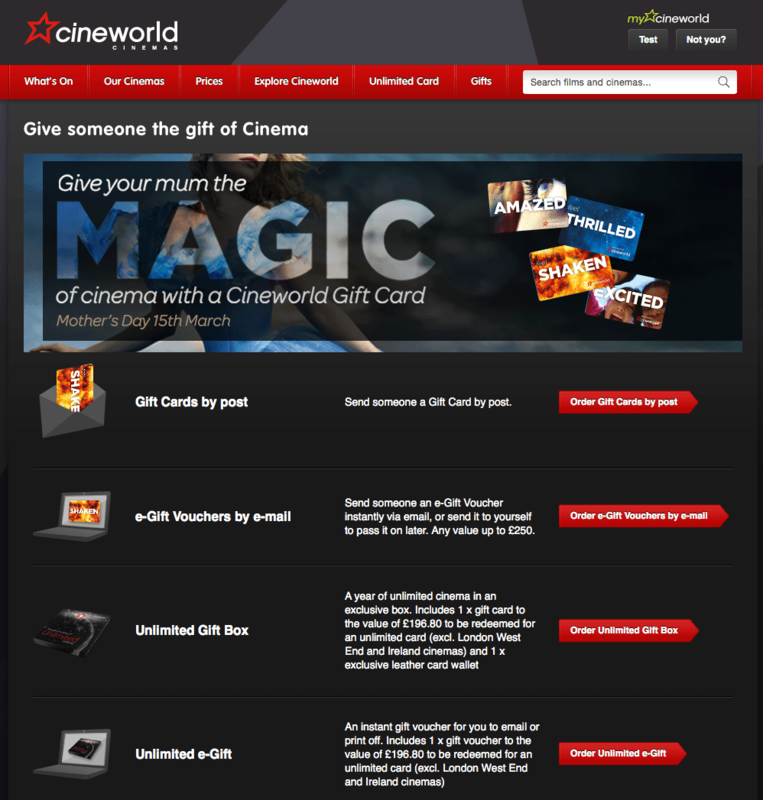 Combining the new egift card product with online gift card redemption continues to provide a significant boost to Cineworld’s online retail sales.